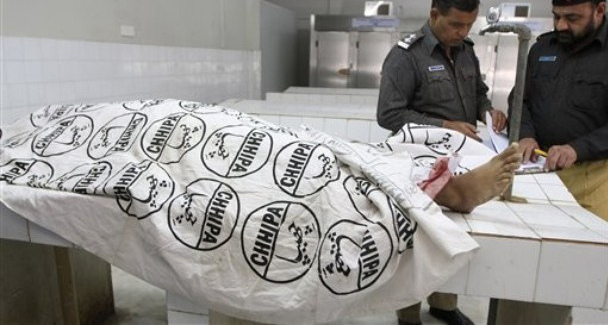 Death toll in Karachi target killings reaches 28 :: Islamists’ instigation suspected. KARACHI: The toll in the ongoing target killings rose to 28 on Thursday as eight more people became victims in different parts of Karachi. Reports said that five vehicles were also torched. Agha Shahi, President ANP Sindh, said that some hidden hands are orchestrating the incidents of violence in a systematic way. KARACHI: Eighteen people became victims in renewed start of target killings in the city on Wednesday. Police said the incidents of target killings took place in Sir Syed Town, Kuti Pahari, North Karachi, Abul Ispahani road and other areas. Meanwhile, President Awami National Party Shahi Syed, heading a delegation, called on Sindh Chief Minister Syed Qaim Ali Shah to discuss the issue of target killings. The chief minister took strict notice of the killings started during the last 24 hours and called for effective steps to maintain law and order. He assured the ANP delegation that killers involved in target killings would soon be arrested and awarded exemplary punishment. He directed the law enforcing organisations and administration to bring the criminals to book. The news.com.pk reports that the number of deaths in separate incidents of target killing in capital city Karachi has mounted to 18 while as many as another 21 sustained injuries, Geo reported Wednesday. A total of four vehicles were torched in reaction of target killing incidents, witnesses said. Markets and shops were closed early in the city on account of target killing reports. According to police, armed men barged into a shop and opened firing, killing some persons and injuring three others. They were rushed to the Jinnah Hospital. A severely bruised and bullet-riddled body of an identified man was found dumped near Katti Pahari area in North Nazimabad area. In another incident, unknown gunmen shot and killed one person near Qaba Morr in Orangi Town. While two persons sustained injuries. One person was killed in Landhi Town. 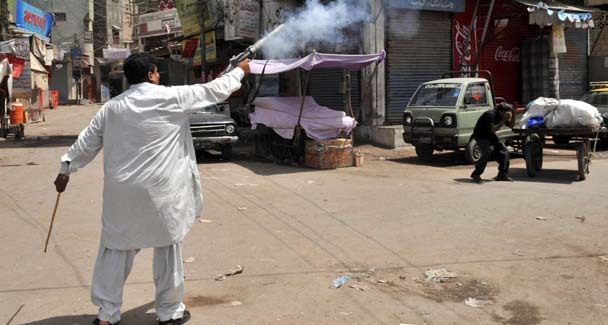 In different acts of violence, four persons were gunned down in Shah Faisal Colony, Gulistan-e-Johar and Sir Syed Town. Karachi is now under the insurgent threat perceptions. Concerned opined a suspected instigation of rebellion Islamist groups are leading towards a civil war like situation in Pakistan. Police and Paramilitary forces tightened the security and vigilance in and out around Karachi. This entry was posted on May 20, 2010 at 3:16 am and is filed under Al Qaida in Pakistan, Alertpak, Civil War in Pakistan, Inner Conflict of Pakistan, Lashker e Taiba, Pak Terrorism, Pakistani State and Terrorism, Pakistani Terrorism, Terrorism. You can follow any responses to this entry through the RSS 2.0 feed. You can leave a response, or trackback from your own site.